He'll be up to the minute when he wear this watch! 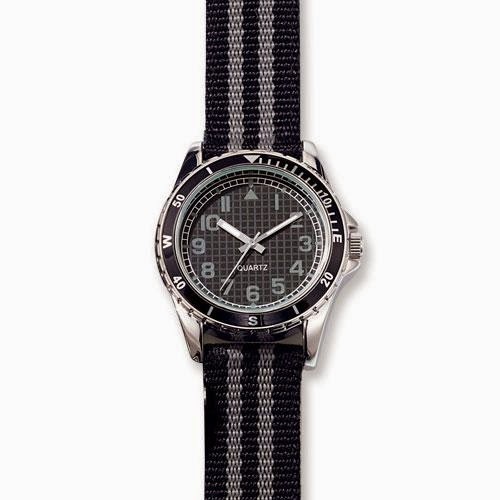 Silvertone Men's grosgrain strap watch with two options to choose from: Black with two grey stripes and grey numbers, or Black with two green stripes and green numbers. Black epoxy outer ring with second markers as well as E, S, W coordinates.